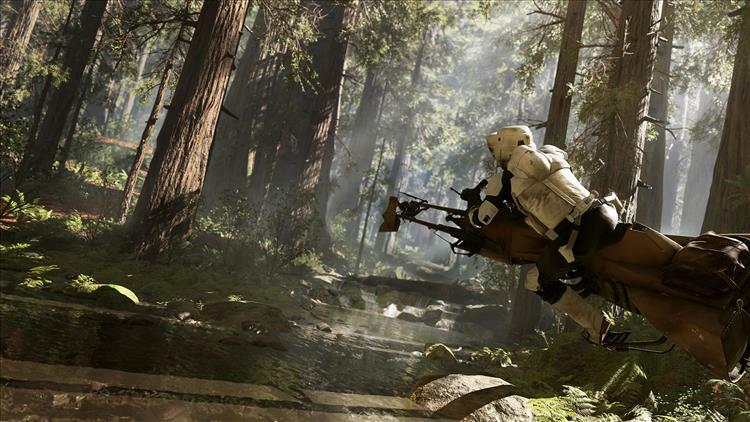 There's been a huge plethora of Star Wars news today, but we still haven't seen anything from Star Wars Battlefront. That is, until now. Below is a leaked image of the game and the detail is amazing. It's a speeder bike ride through what I would guess is one of the forests of Endor. Yeah, it looks damn good and makes me itching to see some video on the game. It shouldn't be long before we'll get a good look at the game.